How we screw up prayer and how social media teaches us to do it right. As a pastor, one would think that I spend most of my time in my own congregation. However, one might be surprised just how often I worship in other churches, and it is always interesting to watch how my fellow colleagues have planned and then preside at (lead) worship. I try to bring a sense of curiosity when I worship at a church other than my own. Often there are little things to learn and borrow. However, over the years, maybe even for decades I have noticed many churches operate with an understanding of prayer that I just cannot get behind. 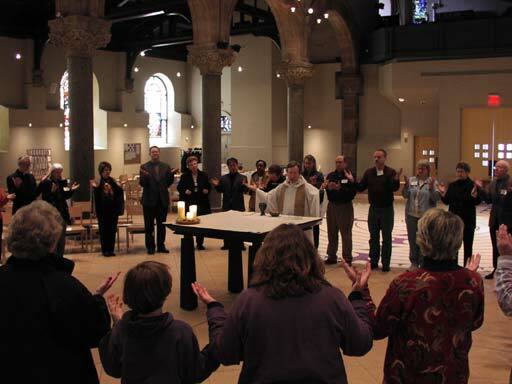 In Lutheran liturgy, our worship contains many different kinds of prayer. There are prayers said in silence like confession, prayers said by the presider (worship leader) like the collect/prayer of the day and eucharistic prayer, prayers said by an assistant minister like the prayers of intercession and offering prayer, and there are prayers said by the whole assembly, like the Lord’s Prayer. Prayer is used in a variety of ways, with the understanding that there are a variety of ways to pray. This has been the way the church has done liturgy and understood prayer for hundreds, almost thousands of years. Yet, even as a child I remember prayer being taught and spoken of largely with one understanding, and so often this one understanding is how many christians understand prayer today. Prayer is talking to God. Specifically, it is us talking to God. More specifically, it is us saying words with our mouths to God. And there are all kinds of teaching and theories and styles to saying these words with our mouths to God. As teen and young adult in church, I remember being sent on occasion to different workshops on prayer, and I remember all the courses that were offered that I didn’t go to. I recall thinking it was strange that learning how to pray was all about becoming more open and vulnerable in my prayers, learning how to “open my heart” to God. As if prayer was some kind of divine therapy session, and I had to learn how to say the words just right. As a pastor, one of the chief concerns of our church, and of many of my friends and colleagues is that we aren’t spiritual enough as leaders. Specifically, that our prayer life isn’t up to snuff. When I ask more about this, it seems that many pastors worry that they don’t pray enough (translation: not enough time saying things to God). We worry that we are not spending enough time in silent meditative prayer (saying things to God in our head), or enough in morning devotions (telling God our daily plans), or enough in small group prayer (taking turns saying words to God in front of others). So many Christians and Christian leaders seem to have the notion that prayer is saying words to God, and the better we get at saying these words, the better our faith will get, the better our “relationship with God” will be. Prayer becomes exceedingly one-dimensional in this view. Whether praying is done alone, in a group, or in church, we seem to believe that only the one speaking is the one praying. What this translates into is a lot of pressure to be pray in this one way. 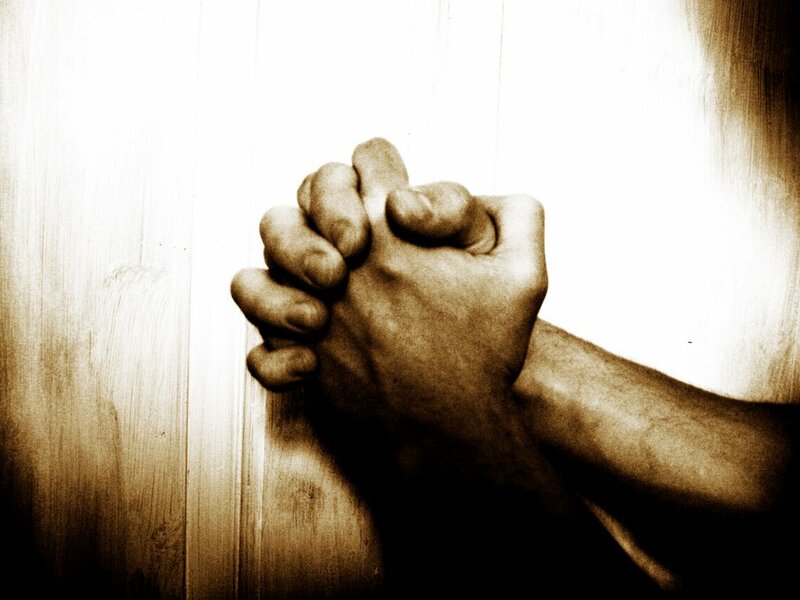 Pressure to pray at home, and pressure to pray at church. For Lutherans this has translated into a poor understanding of the worship and liturgy. We treat liturgy like vegetables. You have to eat them, but nobody likes them. These phrases reinforce the idea that praying only happens when we say words with our mouths. Liturgy is not to be understood this way. Prayer is not only prayer when we say words with our mouths. (As a tangent: I think it interesting that we are increasingly leaving our music making to a group of experts like a band, while we are all praying out loud which has been normally done by one voice). Before I say what I think is a healthier understanding of prayer, I think there is an example we all use regularly that would help us into a deeper and broader understanding of what prayer looks like. Okay, so I know that Social media at its worst is a lot of people cyber “yelling” at each other. But social media at it is best is conversational. It involves speaking AND listening. In fact, most of social media is not speaking at all, it is mostly hearing. Social media wouldn’t work if most of us weren’t listening, reading, hearing, receiving. But social media takes it a step further. With social media you can like, favourite, share, retweet and more. You can read or hear what others have said and add your approval or endorsement without adding your own words. Social media teaches us that it isn’t always about saying words with our mouths. Sometimes it is important not to say anything at all but to let the words of others speak as if they were our own. You can probably see where I am going. As a pastor, my voice is often the one that speaks for the assembly in worship. It is my voice that voices the prayers of the whole group. And so when I worship in other churches where I get to be in the pew and the presider or worship leader says, “let’s all pray together this prayer…” I say nothing. I sometimes wonder if the people around me think I am not participating. 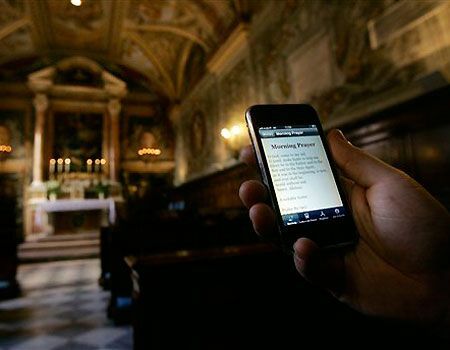 When we see prayer only as saying words with my mouth, we all have to mumble the unfamiliar texts of liturgical prayers in an unpracticed and monotone way. Have you ever paid attention to how a congregation prayers the Lord’s prayer versus the prayer of the day? 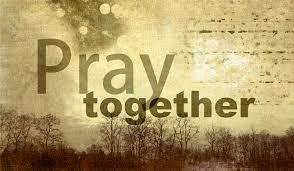 The Lord’s Prayer is the same every week, and we learn how to pray it together. But the Prayer of the Day/Collect changes every week and so we stumble through if we try to say it out loud together. Yet, when we understand that when the presider or worship leader says a prayer with one voice, and still we are all praying together (one by speaking, the rest by listening) with one voice as a group, prayer becomes deeper and broader. When we understand that the deep breaths and moments of silence before a prayer is spoken are the moments when we can, in fact, all truly pray together (instead of all reading monotonously at the same time), prayer becomes deeper and broader. When we understand that in the “Amens”, the “and also with yous”, the “Lord’s Prayer” that we not just praying individually at the same time with our voices, but with the voice of the whole church, with every Christian who has ever said “Amen”, with every Christian who will ever say, “Our Father in heaven”, prayer becomes deeper and broader. I think a deeper and broader understanding of prayer would help us realize that sometimes saying nothing, or just “Amen” at the end is prayer just as much as saying words with our mouth. Just like we know that a like, favourite, share or retweet is using social media the same as updating a status. So let’s start praying with our ears, likes, retweets, with our Amens, in the silences and, when it is appropriate, together with many voices. PS I recently read that one fewer hour of sleep a night for a week gives you the equivalent mental capacity of someone with the blood alcohol level of 0.10. With a new baby in the house, that would make my mental capacity the equivalent of 0.40, I think. This has been the reason for few posts lately, but I hope to pick up the pace again soon. PPS Twitter has been flagging my blog as spam lately. If you would like to help get it unflagged (because according to wordpress and google it is fine), file a ticket with a link to my blog here.